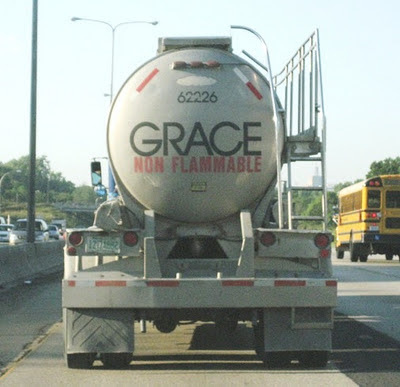 There is distinguishing grace and discriminating regard; for some are made the special objects of divine affection. Do not be afraid to dwell upon this high doctrine of election. When your mind is most heavy and depressed, you will find it to be a bottle of richest cordial. Those who doubt the doctrines of grace, or who cast them into the shade, miss the richest clusters of Eshcol; they lose the wines on the lees well refined, the fat things full of marrow. There is no balm in Gilead comparable to it. If the honey in Jonathan's wood when but touched enlightened the eyes, this is honey which will enlighten your heart to love and learn the mysteries of the kingdom of God. Eat, and fear not a surfeit; live upon this choice dainty, and fear not that it will be too delicate a diet. Meat from the King's table will hurt none of His courtiers. Desire to have your mind enlarged, that you may comprehend more and more the eternal, everlasting, discriminating love of God. When you have mounted as high as election, tarry on its sister mount, the covenant of grace. Covenant engagements are the munitions of stupendous rock behind which we lie entrenched; covenant engagements with the surety, Christ Jesus, are the quiet resting-places of trembling spirits.